We’ve published more major new research on our updated ‘Telco 2.0’ vision of how telcos can transform to the ‘Telco Cloud Service Provider’, and a detailed analysis of new services and revenue forecasts. 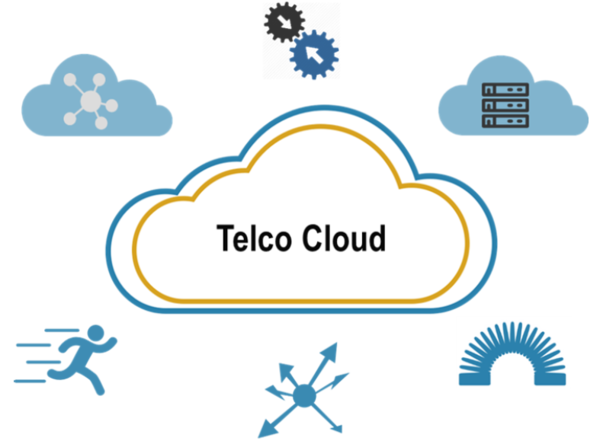 Transforming to the Telco Cloud Service Provider: Becoming a Telco Cloud Service Provider (TCSP) is a new vision for the future of telecoms operators, which promises hugely improved agility, a fundamentally new business model, new services, and new growth. What is this vision, how would it work, and how can it overcome the barriers to change that have thwarted most previous efforts? Translating New Capabilities into New Revenue: To date, discussions of the benefits to telcos of NFV and SDN have mainly focused on reducing operating and capital costs, while the impact on future telco revenues has been somewhat sketchy. In order to fill this gap, this report outlines a comprehensive set of potential new “telco cloud” services, and forecasts associated revenue growth. Both reports are part of the Telco 2.0 Executive Briefing Service. We’ve published “MobiNEX: The Mobile Network Customer Experience Index, Q4 2015”. For the first time, STL Partners quantifies the customer ‘app experience’ on twenty-seven mobile networks in seven countries (Canada, France, Germany, Italy, Spain, UK, USA). MobiNEX - The Mobile Network Experience Index - benchmarks mobile operators’ network speed and reliability by measuring download speed; average latency; error rate and latency consistency. It’s based on billions of real customer data points provided by our partners Apteligent. 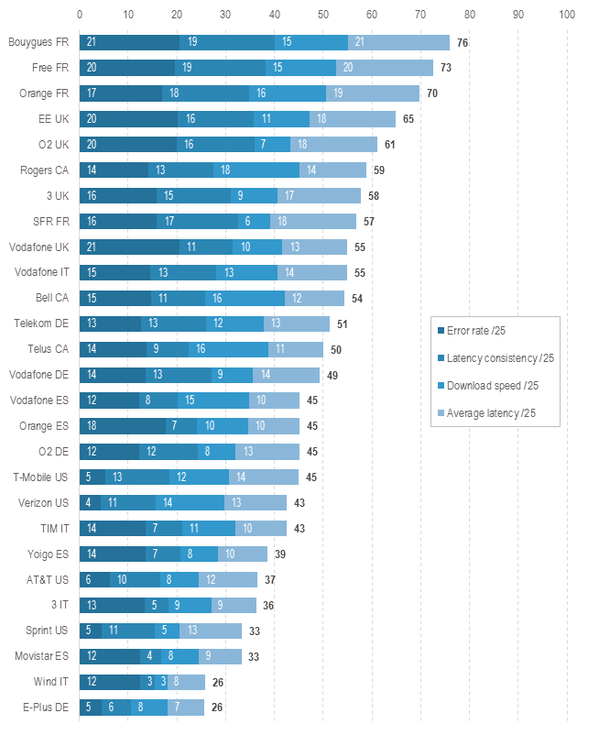 Congratulations to the top three performers - Bouygues, Free and Orange (all in France), plus there are some real surprises in the results, most notably how despite high 4G penetration, the US players are not among the leaders. This report is part of the Telco 2.0 Executive Briefing Service and you can read an extract here. 5G: 5G plans at VZW, AT&T; 3GPP RAN in Busan; first Facebook TIP projects; Loon down! Internet of Things: Apple wanted a partnership with Daimler, BMW to build a car! It was Q1 week around the world. Verizon’s quarter was pretty mixed - revenue was up, but only barely, although net income was a little better. Wireline was the usual picture, with FiOS making up for the struggling enterprise operation, but the worrying bit was that wireless revenues actually fell even though device sales were up 17%. As far as market share goes, VZW scored 640k net-adds in the key retail postpaid segment and lost 177k in the prepay segment it barely bothers with. Internet of Things revenue was $195m in the quarter, up 25%, with still some way to go to make it to a billion for the year. Meanwhile, the strike goes on with no news of any progress. Ericsson’s were similarly uninspiring. Revenue is basically flat with the exception of Support Solutions, profitability was a bit better basically due to cost-cutting, which fell roughly equally on SG&A and research. 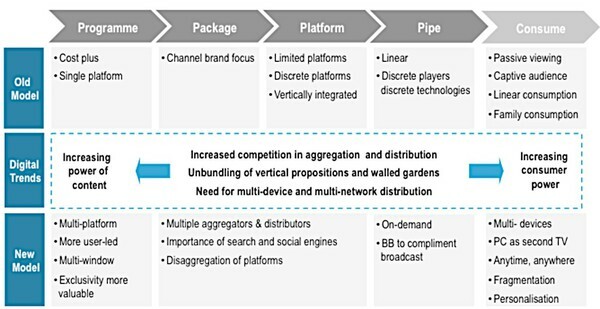 As a result, the company is reorganising into five business units - one each for products and services in each of network and cloud, plus a separate media unit - and a new thing called the Customer Group, Industry and Society, which seems to be an IoT sales channel. Qualcomm saw net profits up 11%, although both shipments and licensing revenue fell. Logically, that implies it is squeezing out costs too as smartphone shipments slow down and it loses share to in-house chipsets at Samsung and Apple. Guidance for Q3 is rather wide - a range of $800m - reflecting the uncertainty about smartphone volume in the future. Intel joined in the doom and gloom by announcing 12,000 job losses, 11 per cent of the workforce. Although their revenues beat the consensus forecast, it’s not hard to spot the problem - Client Computing, the PC division, was down 14% sequentially and up only 2% year-over-year. Intel now expects PC shipments to decline at a “high single-figure” rate. Microsoft’s PC division saw revenue up 1% in Q1, below expectations and tending to confirm that if the Intel Skylake laptops are going to relaunch PC sales, they’ve not done it yet. Lumia shipments were down 73% year-on-year, while the feature phone business was also shrinking fast. It’s a pretty bleak picture, with the exception of cloud, which is growing fast, although its profitability isn’t quite keeping up. The upshot? Revenue off 5.5% and net profits off 25%. Interestingly, one of the biggest hits to revenue was patent licensing. Many Android OEMs have accepted paying license fees to Microsoft, a substantial source of revenue. This has dropped off sharply, but it turns out there’s a reason for that - MS is discounting or waiving them in exchange for shipping their apps. Estimates of Xiaomi’s Q1 shipments are out, and show absolutely no growth over the last 12 months. Zain’s subscribers, revenues, and net income were all down slightly. You could say the same about Telia, which has also decided to drop the Sonera bit of its name. Tele2’s results were pretty horrible, in part because Kazakhstan has devalued the tenge. So now you know the currency of Kazakhstan, at least. Talks about MTN’s huge Nigerian fine are at a standstill because it is now the subject of a parliamentary inquiry. It makes operating in Iran look relatively easy, and MTN now wants to become a fixed-line ISP there. Oi is urgently trying to renegotiate the terms of its debt, Reuters reports. The carrier owes $15.4bn gross, half of which falls due in the next 18 months. 75% of that is denominated in something other than Brazilian currency, so the devaluation of the real has increased the interest bill by 16%, while the macro-economy is terrible. Whatever happens might well re-open the whole Brazilian consolidation story. So did anyone have good news? Well, at least there’s Google. Alphabet’s revenues for Q1 were up 17%, basically all of which came from Google itself. Even though the train-set businesses, Other Bets, lost $802m, compared to $633m a year before, there was still enough Google Cash coming in for net income to hit $4.2bn, compared to $3.5bn a year ago. Other Bets does actually have some revenue, and it was up 108% largely because more Google Fiber networks went on line. $280m of the loss was accounted for by the CAPEX cost of building them. And Sundar Pichai says that as many as 50% of Google users in some countries are coming from Android devices, and are hence usually logged in. That suggests Google mobile search might be getting more valuable, but there’s a simpler way to achieve that - just stuff in more ads before you get to a search result. Ironically, it’s the opposite of the way Facebook finally managed to get revenue out of mobile advertising. China Unicom’s revenues, meanwhile, were down 5.2% year-on-year, mostly because “non-service” revenue, i.e. device sales, fell sharply while better 4G takeup caused service revenue to nudge up. You can see why Xiaomi’s quarter might have been sticky. 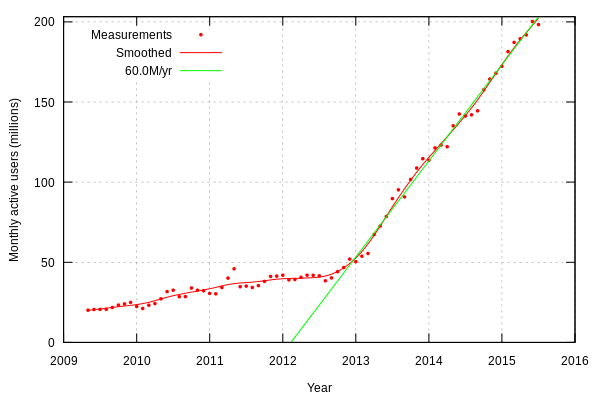 Unicom, though, has managed to start adding subscribers again, over six million of ‘em. China Mobile, for its part, added 64m 4G users in Q1, bringing the total to 377m and 30 per cent of the global 4G user base. The great majority of them are upgrading from 3G, rather than churning from other operators. As a result, data usage per user was up 24% to half a gig, ARPU was up 20%, service revenue 4.9%, and total revenue 8.7%. But net profit was up only 0.5%. It’s the old, old story. Meanwhile, China Broadcasting Network has been given a mobile network licence. 5G plans at VZW, AT&T; 3GPP RAN in Busan; first Facebook TIP projects; Loon down! After its lacklustre Q1, it’s no surprise VZW wants to move on to 5G as quickly as possible. Fran Shammo gave some details of the tests and their plans during the earnings call. The test campaign with Nokia in Dallas turns out to have concentrated on a fixed-wireless product, and in-building coverage in particular, although there was also a “latency use case”. He promised a pilot deployment of fixed-wireless 5G in 2017, and interestingly said that 5G was “not a replacement technology”. The VP of networks said “eight or nine” of the tests were 1Gbps+, and the operator was “fully committed to the standards process”, but just wanted it to go “faster”. AT&T, meanwhile, will also be testing fixed-wireless 5G this summer, starting with 15GHz. Interestingly, as many as one in five US households is now getting their Internet service exclusively from mobile. On the standards track, 3GPP RAN 1 met in Busan, South Korea to formally begin drafting the 5G radio air interface spec, with Samsung Networks acting as host. There are some 1,306 proposals to work through, but Inside 5G has picked out a few choice items. Facebook has released the first two products under its Telecom Infra Project into open source. They are Project ARIES, a massive-MIMO antenna for 5G base stations, and Terragraph, an advanced mesh network using WiGig links optimised for backhaul, with routing in the radio layer. One of Google’s Project Loon 4G balloons has crashed in a field in Chile. Here’s an interesting paper on proactive caching and mobile edge computing. Zayo’s coverage with fibre-to-the-tower is now up to 8,000 cell sites in the US, and an analyst reckons they are a strong buy due to the backhaul demands of 5G. It’s a good job we’ve got this stuff. Websites are progressively getting heavier - from 1.95MB a year ago, the average HTTP request has now reached 2.3MB, of which 1.46MB is images and only 66 kB is HTML. The European Commission is going to block 3UK/O2 “within weeks”. Hutchison has already said that it’s not willing to make any more concessions. The regulators have apparently said the only acceptable concession would be to immediately sell one of 3UK or O2, which makes the whole exercise pretty pointless. So that’s no deal, then, and you wouldn’t bet on getting the parallel 3 Italia/Wind merger away either. Telefonica is therefore looking for an alternative. It would dearly love to get rid of some of its $56.7bn debt, and the $14.5bn sale of O2 UK would have taken 26% off that in one blow. Potential options include perennial rumour staple Liberty Global, leverage-loving French cableco Altice (which promised it wouldn’t do another deal, but hey), Vivendi (which is mostly getting out of telecoms) and even Orange and/or DTAG if they for some reason wanted to re-create EE. The Euregulators, meanwhile, have concluded that Google’s agreements with OEMs are indeed anti-competitive. They’re specifically concerned about the Google Apps package, and its related requirement to install Chrome and set Google as the default search engine, as well as discouraging forkdroid vendors (presumably by refusing them Google Apps), and offering financial incentives to ship with Google as default search. Reaction is here - will Google shift emphasis to Chrome? - and here from Benoit Felten. In the US, the FCC is moving towards a rulemaking that would force cablecos to un-bundle their set-top boxes. Harold Feld’s invaluable blog discusses their response, Comcast’s concession of letting Roku stream their stuff, and the legalities. The case, as they say, continues. T-Mobile, Sprint, and US Cellular have supported the Verizon-Incompas deal over special access in a filing to the FCC, on the grounds it will help get more dark fibre out to cell sites. Ericsson is hoping that the 600MHz auction will kick off a wave of similar low-band spectrum releaes around the world. And Vodafone UK may get fined by OFCOM over inaccurate bills. A study by OpenSignal for Which? says that the UK has what you might call effective 4G coverage of 53%, that is to say, a typical user gets 4G 53% of the time. This compares with 39 countries that achieve 60% plus. EE says it’s going to deploy more 4G, targeting 95% geographical coverage and 99.8% population coverage, compared with about 60% at the moment. Partly, this is about their new role replacing the Airwave emergency services network, and indeed the Home Office is going to pay for quite a bit of it. EE reckons this will require 750 more eNode-Bs. Not surprisingly, they want something in return, probably that the government hurries up with changing the Electronic Communications Code to make it easier to get planning permission. Remember the joint Sky/TalkTalk/CityFibre FTTH rollout in York? ISPReview checks up two years after the announcement and finds that although the project is behind schedule, Phase 1 is close to being finished, and a commercial launch might not be far off. However, it looks like Sky is losing interest post-Openreach review, and most of the installs are being left for TalkTalk users. CityFibre, for its part, is deploying into Leeds and Bradford with local ISP partners. Two-thirds of broadband subscribers think BT’s wholesale service is FTTH. And the BBC is undertaking a major review of its online news strategy, focused on mobile. As well as 5G, Verizon is trying to diversify into content. The AOL acquisition is done, the bid for Yahoo! is in the works, and now we have Complex Media. This is a “network of sites focused on American popular culture for the millennial male”, including “entertainment, sports, and hip-hop”, and Verizon is buying 50% of it, with Hearst taking the other half. Complex has apparently been profitable since 2010, which suggests it might be a bit less soufflé-light than it sounds. T-Mobile’s John Legere mocked VZ on Twitter for having a “mid-life crisis” over this. Well, if you buy a company called Awesomeness TV you should probably be prepared for a bit of banter, but we can’t help but feel Legere should have a look at himself on that score. Much more seriously, T-Mo has waded into a regulatory dispute about the terms on which pay-TV companies sell content to other platforms. This strongly suggests that they are interested in getting into the business themselves. The US cablecos have come to an agreement with Netflix, under which Netflix’s content would appear in their programming guides and they would share the revenue. TWC has introduced its first “skinny bundle”, a $10/mo upsell for people taking its broadband. However, it’s a pukka cable TV service rather than a streaming app. Creating content rather than distributing it; the new HTC phone turns out to be an outrageously good camera. A different kind of content; Orange just bought 65% of a bank, and wants to launch a mobile-only banking product in France next year. Meanwhile, Vodafone says there are now 25 million M-PESA accounts and the number is growing 27% annually. Ad blockers are spreading at a 60 million user/year clip. And this is a brilliant bad business model. Amazon shares revenue from Kindle Unlimited with self-publishers, based on how far into the book the users read. This is measured on the basis of the last synced page, so as not to snoop on exactly what the users are reading. As a result, you can stuff thousands of pages of random numbers, old phone books, or whatever into the front of the book, put a link to the beginning of the content on page one, and coin it. Google is planning a major cloud expansion, even after a quarter in which they spent $2bn in CAPEX. This will include a mix of their own facilities and leased space, for a total of 12 new locations. The justification is that enterprise sales are beginning to pick up, plus some stuff about machine learning. Dan Rayburn points out that the Google Cloud CDN has gone into public-beta, with some 50 locations worldwide and free SSL support. Meanwhile, it looks like Apple’s in-house CDN is up to 75% of its traffic, and interestingly, more enterprise customers are going the same way. A CDN is essentially a kind of distributed cloud, so you wonder whether this might be a straw in the wind. It’s certainly not doing Akamai any good. One of the reasons for this might just be price. Amazon and Google’s rock-bottom storage prices are matched by their rather pricey bandwidth, so it might well make sense to either move your data into the CDN you use to serve it, or else make your own arrangements. Ericsson announces a lot of new clients for its CDN, notably in China. Intel reckons the percentage of IT investment going into “scale computing”, the kind of technology (if not necessarily the size) you find in Open Compute Project or the Google infrastructure, will rise from 40% today to 80% by 2025. Also, its server chipsets are beginning to include the FPGA tech they acquired with Altera. Their old rival, AMD, has what might be a transforming deal, a partnership with a Chinese company to sell server chips there. Marc Thiele leaves Switch, builder of some of the biggest data centres in the world, for a new job as chief strategy officer at Apcera, an enterprise cloud startup. The winners of an AT&T-backed SDN hackathon get funded. Coca-Cola is selling its Atlanta data centre, having moved the apps there into the cloud. Microsoft is giving up on containers in its data centres - the 40’ long steel sort, not the virtualisation sort. How Twitter hosts vast numbers of images. Apple wanted a partnership with Daimler, BMW to build a car! Apple, BMW, and Daimler-Benz were in talks about cooperating on a car project, but the talks fell apart over the question of who would control the data. Not coincidentally, Apple also recently hired Tesla Motors’ VP of Vehicle Engineering, the former Chief Engineer at Aston Martin, Chris Porrit. Philips has decided to IPO, rather than just sell, its lighting business, now famous for software updates that impose a vendor lock-in on light bulbs. Microsoft’s Azure IoT Suite is going to be integrated with the service solution for Rolls-Royce aero-engines. It’s a huge deal, as maintenance and leasing are a crucial part of R-R’s business model, and the engines throw off enormous amounts of data. Rivalling that, GE’s Predix IoT system will be integrated with Oracle’s cloud. That’s all been fairly serious IoT news. When you next see a silly IoT startup, though, you probably want to refer to this instant-classic blog post on the structural crisis of the VC sector. (This is related, but funnier). Facebook Messenger just grew high-definition audio conferencing, apparently using WebRTC and the Opus audio codec. They also added a Snapchat-like feature that lets you add someone as a contact by scanning a graphical code (similar to a QR code but prettier). Why you should care about VP9 support - it makes multipoint video much more scalable. Skype has sacrificed interoperability for features, but at least it’s actively improving, unlike Google Hangouts. A roundup of how the various videoconferencing vendors are adapting to WebRTC. Why the bot craze is harmful. An interesting financial WebRTC app. Simwood Mobile battles strange regulatory issues. Some of the world’s largest telcos see the fast-growing demand for online entertainment as a golden opportunity to shore up their revenues and relevance. BT, Telefónica and Verizon are among the major telcos pumping billions of dollars into building end-to-end entertainment offerings that can compete with those of the major Internet platforms. But how well prepared are telcos to respond to the forces set to disrupt this fast-changing market? This report is part of the Telco 2.0 Dealing with Disruption Stream and you can read an except of the report here. Europe: CMA to Europe: kill 3UK/O2. Orange-Bouygues, the fallout. Choice 5G hype at Vimpelcom. Rather surprisingly, a bidding war is developing for Yahoo! Verizon kicked it all off, with an $8bn offer that foresaw Yahoo! being integrated into AOL under the purview of their new businesses EVP, Marni Walden. Then it was rumoured that Google might be interested - just imagine, searching the web with Google Yahoo! - or perhaps Time, Inc, in an ironic replay of the AOL-Time Warner merger. But surely nobody expected serious interest from Daily Mail & General Trust, the company that - if you’re British - stands for tub-thumping conservative journalism, and if you’re not, for its click-tastic pursuit of celebrity outrage. That said, the paper is apparently determined to build a digital future on ad revenue and the remorseless pursuit of more pageviews, and if nothing else, the Yahoo! sites would be a great place to syndicate their content. Inside Yahoo!, meanwhile, there’s an increasing divide between the technology and the media elements of its culture. Ironically, ex-Googler Marissa Mayer has chosen to play up a classic magazine approach, hiring star editors and writers for big money and letting them set the agenda, while the engineering team tries to divine what the public wants from what it read last. And, it turns out, that’s usually something to do with Kim Kardashian. Well, anyone who’s seen the Daily Mail homepage knows the paper heartily agrees with that. If the Mail gets the deal, they plan to keep the media operations and the big-traffic homepage and pretty much dump the rest. To achieve this, DMGT needs to sign up at least one financial investor, as Yahoo! is still a surprisingly big company. Verizon agrees on strategy, in part - it wants to sell Yahoo! Japan and the complete web business, while keeping the media shop. This week, Verizon also acquired a much smaller content company, Awesomeness TV. This is meant to feed the Go90 mobile video business, and apparently it’s going to be paid content - if that’s what “premium transactional original content” means in earthling. Now this is interesting: after forcing the CEO of Telecom Italia out, Vivendi has bought into Mediaset, Silvio Berlusconi’s TV holding company. This looks like media consolidation around Europe. The Financial Times thinks Vivendi will eventually go for full control of the company, and further acquisitions elsewhere, and that it might sell Telecom Italia to fund them. This mostly makes sense if you think Vivendi is going to break up TI, as otherwise, why bother building a stake and forcing out the CEO? Part of Berlusconi’s motivation is apparently that his football rights are coming up for renewal and he’d rather cash in Mediaset than fork out the enormous sums football demands. In Germany, the anti-trust regulators have decided to limit how many matches any one broadcaster can have. Obviously, this restricts how valuable the franchise can be, as does the fact most German football is free-to-air, but it also makes it possible for multiple players to have a bidding war for the good bits and all end up overpaying. This speaks to a deeper truth. Everyone in telecoms, especially, sees media and specifically TV as the sector where it rains money. But the cost of programming rights is going up, and up, and up. Football is the most outrageous example, but scripted content is no different. Todd Juenger of Bernstein Research points out that, if current trends continue, margins will reach zero by 2023 and rightsholders will capture all the money in the business. That’s the reductio ad absurdum, of course, but the shorter-term version of his forecast suggests TV gross margins might be down to around 17% by 2018, at which point they’d be about half typical wireless carriers’ margins and in line with fixed-line ones. We accept the inevitability of death. It doesn’t mean we have to like it. Very deep. Meanwhile, a huge row has broken out between Charter, Comcast, and Byron Allen, owner of seven US cable TV channels. Charter and Comcast say it’s about their terms of carriage, he alleges it’s down to racism, and the row is even hotter than John Legere vs Marcelo Claure. Facebook is worried that people aren’t oversharing enough, in a word. Rather than pouring their lives into the ‘book, they’re posting links to other websites. Other websites that have their own business models. Imagine the horror. This aggression cannot stand, as they say, and Facebook has an engineering team in London working on it. US analysts, meanwhile, are predicting a sticky quarter at AT&T and VZW due to the increasing importance of device sales and the absence of a big device launch in Q1. The iPhone SE wasn’t out until the last day of the quarter and the Galaxy S7 ramp-up only began towards the end. Also, VZW chose not to follow the revival of unlimited data plans. Sprint’s latest financial wheeze is here, and it goes like this. Sprint, Softbank, and an “external partner” together create a special-purpose company. This company buys $3bn worth of Sprint network assets from the carrier, and uses them as collateral to raise a large loan. It then pays Sprint for the assets in “staggered, unequal” instalments, out of the cash it just borrowed, for a total of $2.2bn (note that the debt is over-collateralised). Sprint then uses this money to make the debt repayments that fall due this year, and leases the network gear back from the company. The filing describes the special-purpose company as a “bankruptcy-remote entity”, meaning presumably that Softbank, the outside investor, and the lenders would be able to keep the network assets in it if Sprint itself went bust. If we were doing something like this, we’d probably try not to use the word “bankruptcy” too much, as the structure is very similar to Enron’s infamous special-purpose vehicles. Unlike them, though, the “entity” will still be consolidated in Sprint’s books, so the debt will be counted in with Sprint’s $34bn of liabilities, and the payments from the “entity” to the lenders will be recognised as interest costs, so they will be deducted from Sprint’s profits/added to its losses. Mind you, they will also of course be added-back to its EBITDA, so expect Sprint earnings announcements to feature the EBITDA and EBITDA margin numbers prominently. Before Sprint started leasing the network, it leased the phones. That created a pool of leased phones, attracting regular billings, that Sprint was able to spin off into a special-purpose vehicle and use to borrow a lot of money. There is only one problem - both the economics and the accounting treatment are very dependent on the resale value of the ex-lease phones. As a result, Sprint is texting all its lease subscribers reminding them that the phones have to be returned at the end of the contract. Much of the bull case for Sprint, such as it is, revolves around that block of 2.5GHz spectrum it still has. This has been more than a bit of a disappointment so far, so this might be good news - Google just took out a temporary authorization to test some kind of wireless network in that band. The Google has also been lobbying in favour of getting another 2.4GHz channel, 14, reassigned for WiFi. In the regulatory game, Verizon and one of the ILECs, Incompas, have come up with a joint submission to the FCC’s review of special access. Essentially, it’s a proposal for peace between the various parties in the debate, proposing technology neutrality, Title II implementation on the condition that the FCC “forbear” from various requirements, and rate regulation on a technology neutral basis except where the FCC considers the market competitive. The USTelecom lobby group had previously submitted a study it claims shows the market already is competitive. From that, you can see that the ILECs and telcos can probably agree on the Verizon/Incompas proposal. It recognises the telcos’ contention that some places already are competitive; it provides the indies with some regulatory guarantees. The people who don’t like it are the cablecos, who are doing very nicely, don’t care about ILECs, and don’t want any interference. Frontier’s acquisition of Verizon’s fixed-line operations in Florida has closed, and so did the network after a major fibre cut in Tampa. An analyst suggests VZ will need to find $375m in cost savings, or additional revenues, to make up for the sale. He doesn’t sound too keen on buying Awesomeness TV, either, or indeed Yahoo! Here’s an interesting story about access to poles. Google is lobbying for US cities to adopt rules that allow for coordinated access to the electricity and phone poles for all services, making it rather more efficient, but also much easier to roll out Google Fiber. AT&T, which owns some of them in Louisville, a Fiber target market, is suing - and in the meantime, frantically rolling out 1Gbps service. AT&T’s LTE rollout in Mexico continues. And Venezuelan operators have been turning off mobile roaming and even plain old international direct dialling because they can’t find the foreign exchange to pay the termination fees. CMA to Europe: kill 3UK/O2. Orange-Bouygues, the fallout. Choice 5G hype at Vimpelcom. The British anti-trust regulator, the Competition and Markets Authority, has come right out and practically begged the European authorities to kill the 3UK/O2 deal. Their argument could not be simpler - three MNOs isn’t enough. Before their dramatic intervention, 3UK had announced its final offer, signing long-term MVNO agreements with Sky and Virgin Media over a total of 30% of the combined network capacity and promising to sell the stake in Tesco Mobile. That was roughly what 3UK and CK Hutchison managers had been briefing all along, so perhaps the negotiations never actually moved much. After the collapse of the Orange-Bouygues deal, Orange is looking at alternatives. The search kicked off by buying into Africa Internet, the VC fund that invests in African startups. Taking a €75m stake, Orange joins Rocket, MTN, Millicom, AXA, and Goldman Sachs. Rocket is the Berlin-based fund famous for backing startups that clone major US Internet companies’ business models in a localised form, and ironically, Africa Internet is pretty much a clone of Rocket. Meanwhile, the French public sector bank BPI has exercised its rights in Orange under the so-called loi Florange, which gives long-term shareholders twice the votes. This takes the government stake to 29.5% of the voting rights and basically rules out anything like Bouygues’ bid happening again if the minister doesn’t want it to. The bidders for Orange codenamed the transaction “Project Jardiland”, after a chain of French garden centres. Now it’s pushing up daisies, life must go on somehow, and Bouygues and Free dashed to the ARCEP offices to get their 700MHz spectrum OK’d. The TV networks had to move out by the 5th of April, Bouygues turned up the first base station, in Paris, on the 6th. Free activated three in Tarbes later that day. Bouygues also fetched a test authorisation for 3.5GHz wireless broadband. ARCEP, meanwhile, issued its regular market report, showing that mobile service revenue is still falling, but that the curve is flattening out. Meanwhile, 4G subscribers are doubling in less than a year. Mobile Europe points out that MTS made a policy decision to concentrate 4G on the 1800MHz band. It’s also one of the star operators we identified in the 4G Global Rollout Executive Briefing. If that’s the type of dialogue they’ve had, it’s not hard to see the disconnect in style at least. Spanish 4th operator Yoigo, the subject of a takeover offer from a team of ex-Virgin Media execs, is shortening sail by ending its popular 20GB data plan. German regulators have issued a new national numbering plan. Major changes include letting MVNOs issue IMSI numbers for international use, good for things like global M2M SIMs or complicated enterprise private networks. And the UK has reached, sort of, 90% coverage with “superfast” broadband, sort of. Samsung’s preliminary Q1 results show operating profits up 10% after the Galaxy S7 apparently did what the S5, S6, and S6 Edge were meant to - sell by the bucketload. Shipments may have been as much as 2.5 million over expectations. Meanwhile, LG told investors to expect a strong Q1 too, although this was more about white goods than phones. Here is an in-depth review of the G5, which likes it but complains about the manufacturing quality. Here is an in-depth review of Apple’s iPhone SE, which says it’s like an iPhone 5 with 6 performance and much better battery life than either. Pretty good, then. Kantar Worldpanel says Android is gaining market share in Europe, although the Huawei premium lines don’t get across in the UK and the Galaxy 7 will have to crack that one. This new HP laptop is literally covered all over with shiny metal, gold if you’re willing to spend the money to show you have more money than taste. The specs inside it are pretty impressive if you can handle the bling. BlackBerry is planning two new mid-market Android devices. In the US, the average iPhone user spent $35 on apps in 2015. Oddly enough, if they keep the device for 3 years, they’ll have spent precisely the price of a Windows 10 install. Changes are afoot at Intel. The people in charge of IoT and wireless are both leaving, although the company is putting more investment into both than ever before. Here’s a good discussion of why Microsoft decided Windows needed to support a proper Ubuntu Linux command line. Essentially, the logic of its long-term strategy - “developers, developers, developers”, as Steve Ballmer said - means that Microsoft has to have a credible developer platform, in an era where most laptops are Apple machines running a Unix-based OS, practically all mobiles are running either an Apple Unix or a Google-backed Linux, the vast majority of servers are Linux, and network equipment, IoT devices, and such are also usually Linux of some flavour. Relatedly, if you search Bing for a snippet of code in most programming languages, it now gives you an interactive editor that can actually execute it in the results. Also, MS’s latest surprising mobile app is a power user’s keyboard for iOS. Microsoft and Amazon are considering taking a stake in HERE, the ex-Nokia maps business owned by the German car industry. The people responsible for Opera and Opera Mini have a new web browser out. Some Nest IoT devices will no longer work, after Google said so. KT and NEC have been testing a 5G wireless backhaul system operating at 70GHz, around a ski resort in South Korea. You can bet that’s part of their drive to deploy something for the 2018 Winter Olympics. It’s also telling that 5G radio is coming first to private applications like backhaul. In Japan, the government has ordered NTT DoCoMo and Softbank to stop selling smartphones at hugely discounted prices. At the moment, NTT will sell you a shiny for $6 if your family takes several, while Softbank will pay you a huge buyout if you change carrier. Telenor reckons its 4G rollout in India will be finished in mid-2017, when Huawei will have upgraded 25,000 cell sites. Apparently Telenor’s not happy that it doesn’t have a national spectrum footprint and might sell. However, the report also says the 1800MHz holdings aren’t “suited to 4G”, which doesn’t sound right. Vodafone is hiring financial advisers for the IPO of Vodafone India. Reliance Infocomm is getting ready to migrate its remaining CDMA users to the 4G network, so it can clear the 800MHz spectrum they’ve sold to Reliance Jio. Worth doing anyway, of course. After three major outages, Telstra has called in Ericsson, Cisco, and Juniper to sell them a lot of expensive equipment, sorry, review the network. Meanwhile, Aussie regulators are worried about Telstra’s role in the NBN now its cable network is part of it. In Thailand, the 900MHz block Jas Mobile failed to pay for is back up for auction. Nokia promised there would be cost savings as a result of the Alcatel-Lucent acquisition, and the savings have started with 3,100 job cuts, split between Finland, Germany, and France. It seems that the product rationalisation has mostly meant keeping the Nokia product. In order to comply with promises to the French government, Nokia is also hiring 500 people in France. More cheerfully, here’s an interesting bit of Nokia technology - using GPON, familiar in the context of FTTH and an Alcatel speciality, for enterprise LANs. ZTE reports revenue up 23%, mostly from carrier networking gear, and sacks the board in order to appease the Americans. Here’s a really interesting blog post on what telcos wanted from OpenStack and how it got into the current release, codename Mitaka. Brocade, the Ethernet and IP router vendor that’s increasingly interested in mobile, is buying high-end WiFi vendor Ruckus Wireless for $1.2bn. Ruckus is usually the feature leader in WiFi and surprised everyone recently by getting involved with MuLTEFire. T-Mobile USA says it’s now up to 300m calls a day on VoLTE. They’re using it to offer HD voice, WiFi calling, and some other enhancements starting with the LG G5 and Samsung Galaxy S7. LiveOps, a contact-centre solutions specialist, is now offering call centres in the cloud, running in Amazon Web Services. The Swedish tourist board has followed up on its @sweden Twitter feed, which is operated by a different randomly selected Swede every week, with a phone number that is answered by a different randomly selected Swede every time. A roundup of WebRTC activity at Microsoft, Apple, and Google. Avaya is refocusing its activities around cloud voice. Here’s a rundown of the product line. Interesting project from VMWare: a mail app that’s actually good. The UK smart meter deployment has been put on hold after CESG, the defensive arm of GCHQ, pointed out that using the same encryption key for all the 53 million meters wasn’t too bright. WhatsApp’s end-to-end encryption is now live and you can read how it works here. The Panama Papers - insider leak or catastrophically misconfigured Drupal site? Also, the account of the open-source software infrastructure the journalists built to cope with 2.4TB of leaks is fascinating. An intelligent critique of Facebook’s Free Basics. One less critical observation is that it seems they pulled out of Egypt rather than spy on their users. For most of Sunday, Holland’s biggest news sites were all serving malware via a dodgy ad. This page will tell you what your web browser tells all the other pages. And Microsoft Edge will come with Flash blocking as standard. Orange’s press release on their talks with Bouygues is brief and to the point. Reuters has much more detail, notably about the role of the French government and the increasing bitterness between Martin Bouygues, Xavier Niel, and Patrick Drahi. Economy Minister Gabriel Macron was apparently unwilling to let Bouygues take effective control of Orange, while Niel (typically) insisted that any sale of assets should amount to a transforming deal for Free. The political element was also difficult - Bouygues is godfather to former, conservative president Nicolas Sarkozy’s son, Gabriel is an appointee of the current, socialist president - and the personalities probably didn’t help. Niel is known to mock Bouygues as a man who inherited his money, and Stéphane Richard from Orange as a state functionary with no telecoms expertise. Prime Minister Manuel Valls, who phoned up to pressure the CEOs at the last minute, has a reputation for being abrasive and super-direct, which might not have helped. In the end, though, it was always going to be difficult to combine Orange and Bouygues without creating a neo-monopoly. The market shares of the two companies are too big. And if it didn’t create a much bigger company, much of the point of the exercise would be lost. Also, expecting the government as the biggest Orange shareholder to just let Bouygues dilute their holding for his own purposes was a stretch (especially as the minister is an ex-banker). Asking the other parties to accept both a super-sized Orange, and Bouygues taking significant control of it, was just too much. The upshot? A massive sell-off of telecoms shares in general and Bouygues in particular. Flavio Cattaneo, railways and media entrepreneur, is the new CEO of Telecom Italia. He’s apparently close to Silvio Berlusconi, which might be significant in the context of Vivendi buying into TI and looking at acquiring Berlusconi’s TV networks. At Telefonica, meanwhile, Cesar Alierta is stepping down after 16 years in charge, in favour of the group COO, Jose Maria Alvarez-Pallete. The European Commission has announced a 90-day review of the 3 Italia/Wind deal, as its drive against four-to-three mergers continues. Something complicated is happening at Vimpelcom, where Telenor has let a deadline to convert its preferred (but voting) shares into common stock pass. As a result, they are redeemed at face value, i.e. practically nothing (well, $305,000). Telenor had announced its intention to sell back in October. New Telco 2.0 Research: A new Telco 2.0 Executive Briefing is out now, covering TeliaSonera’s highly successful partnership with Spotify. Read more and get the document here. OFCOM reckons EE is the UK’s best network, with the best average downlink data rate, web page load time, page load success rate, and percentage of recorded data rates over 2Mbps. 3UK came second across the board, O2 dead last. The Open Rights Group is concerned that too many people don’t know their mobile operator might sell their data and that they can opt out. ARCEP is offering the chance to test 2.6GHz TDD and 3.5GHz spectrum ahead of the planned auction. Rather oddly, ARCEP is talking about wireless local loop with regard to the 3.5GHz, but everyone else wants that one for 5G. Turkey’s three MNOs have gone live with their “4.5G” services, as of the evening of April 1st. Turkcell claims to have the service in 81 cities, and to offer a maximum 390Mbps downlink speed. Turkcell has doubled customer data allowances for three months in a marketing gimmick, while Vodafone is offering a free trial during April and taking the opportunity to turn up VoLTE. The 5G standardisation is taking shape after last month’s 3GPP RAN meeting in Gothenburg. The three use cases taken forward from Phoenix (enhanced mobile broadband, massive M2M, and low-latency M2M) are still there, although the option of “additional requirements defined during the study” is left open. All three requirements have to be covered by the same radio access technology (RAT), and spectrum up to 100GHz will be considered. The waveform will be some sort of OFDM. As for the timeline, Phase 1 is “assumed to be completed” by June, 2018, with Phase 2 following by December, 2019. Interestingly, though, this NTT DoCoMo presentation from the meeting shows that much of the work is expected to be done by Q2 2017. Here’s an analysis of who owns which patents in the 5G space. The answer is mostly “Nokia, Ericsson, and Qualcomm”, but there are significant amounts of intellectual property belonging to so-called ‘nonpracticing entities’. SK Telecom claims to have successfully trialled a 5G network, operating in the 28GHz band with Samsung equipment. The experiments began in August, 2015, and moved onto outdoor, mobile field trials in October. SKT now says it’s going to start work on “pilot” 5G networks by the end of the year, trying to leap back over VZW and AT&T. This tends to bear out FCC Chairman Tom Wheeler’s point that whatever the ITU says, 28GHz is where the action is. And Ericsson and Telefonica have tested LTE-U in a picocell deployment. Huawei announced full-year results for 2015, trumpeting that it had overtaken both Ericsson and Nokia in terms of revenue. Revenue was $60.8bn, up 37%. Out of that, $35.7bn came from the carrier division, up 21%, $4.2bn came from enterprise, up 44%, and $19bn came from consumer, up 73%. Net profit was up 33%. This sounds like undiluted triumph, but there is one important caveat. Margins are clearly a problem. Net profit might be up by 33%, but as revenue was up 37%, margins clearly slipped. For the full year, operating margin was 11.6%. This is significant, as management’s guidance promised a return to the levels of profitability achieved in 2010, around 18%, while STL forecast around 12% in this Executive Briefing from October. As H1 was close to target, this implies margins were very weak in the second half of the year. The huge volume growth came from an absolute flood of cheap smartphones, which they claim has taken them into the top three in “some” unspecified EMEA markets. Unfortunately, like all the other Android OEMs, Huawei is clearly struggling to add value over and above the SoC vendors’ contribution. Bryan Wu of IDC argues here that Huawei is having to spend heavily to get distribution, for example by funding marketing like Samsung, or vendor-financing inventory. Our insights from this are summed up in this tweet. Margins in consumer OEM are terrible. Nokia Networks is camped on price leadership in 4G infrastructure. Expect Huawei to start in-sourcing more of its smartphone hardware content in order to capture more added value, recapping Apple and Samsung’s strategy before them - they’ve already made a start, doing their own LTE modem. And so it begins. The US 600MHz incentive-auction is under way. In this phase, TV stations take part in a reverse auction to set the price at which they’d be willing to return spectrum to the FCC, which will then re-auction it to wireless operators, and pay the TV stations out of the take. The reverse auction will take several weeks, before the FCC pauses the process to sort out the admin and repackage the spectrum. There may be as much as 110MHz available. T-Mobile USA is getting ready to jump in. The company has just announced an issue of $1bn in senior notes, to be floated by a consortium of banks, with a view to bidding for 600MHz spectrum and also to snapping up 700MHz A-Block licences as and when they come on the market. In all, they’ve acquired licences covering 48 million people via opportunistic buying like this, giving them 700MHz spectrum over 258 million Americans. Since last year, T-Mobile has lined up a total of $5bn in committed but undrawn financing for spectrum purposes. It’s also introduced some plans that include data, unlimited messaging, but no voice. Pricing is not much different to the data-only ones. Verizon Wireless customers should watch out for new one-off upgrade and activation fees. FreedomPop says 50% of its users take a paid option in the US, 40% in the UK. AT&T’s 1Gbps FTTH rollout is coming to Los Angeles, historically Time Warner Cable territory. 1Gbps is $110/mo, 300Mbps $80/mo. It will be hoping to make serious inroads before the Charter/TWC/Bright House deal closes and the dust settles. As part of this, it’s offering unlimited data to some customers, as the cablecos sometimes cap. It’s not given up on the copper, either. This LightReading post (note: sponsored by AT&T) says they’re testing G.fast for use in vertical deployments, especially for people who take “just” the 300Mbps tier. That said, it also says they’ve got their cost-to-pass under $1000 (VZ’s was $900 in the first year of FiOS roll-out, falling to $600 by the end), so you might wonder why they’d bother. Comcast is expected to post strong net-adds for Q1, driven by promotions on the X1 set-top box. That said, the Xfinity Games streaming app on the X1 has been scrapped after Electronic Arts pulled out of the project. The FCC has issued a report and order opening the Lifeline program, which subsidises basic phone service for the poor, up for Internet access. Meanwhile, California may be about to fund AT&T DSL extensions that don’t count as broadband in the eyes of the regulator. And Google has introduced a radical new feature for Google Fiber: telephony. This week, Microsoft held its annual developer conference, Build. It was rich in interesting announcements. For a start, the reconciliation between Microsoft and the Linux community is surely complete, as you can now have a fully functional Ubuntu Linux command-line in your Windows 10 system, including all the Linux core utilities and whatever applications you feel like installing. The technical implementation is also interesting - it’s not a virtual machine, nor a container, it’s the Ubuntu user space as a Windows app. Some more detail is here. Xamarin, the cross-platform mobile apps toolkit it acquired in February, has been released as open-source software. The HoloLens AR device is now shipping to developers, and getting good reviews. MS Azure now has an equivalent to AWS’ Lambda serverless cloud product, Azure Functions. Also, perhaps more importantly, MS announced that the cloud infrastructure for Skype and Cortana is now being managed via Azure Service Fabric, their rough equivalent of AWS CloudFormation. Cortana is getting integrated into Skype, as part of a wider push on conversational user interfaces. Microsoft is very keen on applications that talk, processing natural language and responding. To this end, it has released a set of APIs called the Bot Framework for developers to create chatbots that work with Office, Cortana, Azure, and Skype. No mention of Microsoft bots, though, would be complete without Tay, who’s acted as a sort of surrealist Greek chorus mocking the serious discussions at Build. This week, the teenage robot was briefly allowed out on Twitter again, and that went about as well as you might expect. She claimed to be smoking dope in front of a policeman, propositioned yet another user, and then collapsed into tearful remorse at her own stupidity before getting grounded again. Can robots sulk? Here’s the teardown of the new iPhone. Basically, as everyone says, it’s like a 5S with more power. Interestingly, the speculation about the LTE modem possibly being something new or an Apple in-house job is wrong - it’s a Qualcomm MDM9625M. Huawei, as we saw earlier on, is struggling to get margins up on manufacturing Android phones. Foxconn does a similar job for the iPhone, assembling parts that contain much of the added value. That will be why it’s embarking on an in-sourcing strategy of their own, by buying into Sharp’s display business, for no less than $3.5bn. It would be interesting to know if Apple lent them any of that. BlackBerry’s Q4s are nothing to write home about. Also, should Apple build its own cloud? The Metro-Ethernet Forum is the latest outfit to offer a solution to all things NFV, with its Lifecycle Service Orchestration reference architecture. This does something very similar to the AT&T ECOMP project we covered two weeks ago, and it’s worth noting that the MEF’s involvement is a big stamp of seriousness. Nokia, meanwhile, acquires an NFV security specialist, Nakina. Here’s a good piece from Data Center Knowledge about why companies scale out of AWS. Verizon’s EdgeCast CDN provides a lot of publicly available data on how the network is doing. And here’s an interesting interview with people from AT&T and Telefonica about open-source NFV. We’re probably all in need of some good news about IoT. In Nigeria, Shell realised a return of $1m on an investment of $87,000 using the IoT to monitor oil wellheads, flow stations, and manifolds. That said, the Shell engineers evaluated cellular and also satellite solutions, dropped them, and decided in the end to use Ingenu’s LPWAN solution, in large part because it only needed 8 base stations to cover the whole area of interest. No joy for the carriers, then. KT and LG U+ are giving away free IoT modules for their LTE networks, as part of something they call the Internet of Small Things. The radio element is LTE-M, and there are 100,000 free gadgets. Rogers Wireless is offering “IoT as a Service” with a Canadian partner, Blue Rover. Applications include “End-to-End Incident Management”, “Farm & Food Monitoring”, and “Level Monitoring”. Speaking of agricultural IoT, John Deere wants to use TV whitespace spectrum to link up farm machines, sensors, and computers, and has received an FCC waiver helping them do so. Here’s a rundown of the IoT alphabet soup, with the interesting remark that another word for “fragmentation” is “choice”. OFCOM has earmarked a chunk of VHF spectrum, formerly used for walkie-talkie applications, as possible long-range IoT territory. And a surprise: Fitbit’s watch is selling like hot cakes. The first quarter of 2016 saw not one single tech IPO. The last time this happened? Q1 2009. Before that? Q1 2003. Before that? Q3 2002. That sounds….ominous. Re/code has a scoop: Nest Labs sales for 2015 were $340 million, not much in the context of a company Google bought for $3.2 billion a year before. Also, Google agreed to fund its cash flow for three years from signing, which takes us to the end of this year. Further, it was agreed that key Nest employees’ share options would vest some time this year, into Google stock, of course. At least Slack still looks a decent bet. This week, it closed another $200 million of VC, with an implied valuation up a billion. Some relevant design discussion is here. You’d think the UK would create outstanding financial software, given our huge finance sector right next door to the startup cluster. You’d be wrong. Firefox for iOS gets some password security enhancements, but that’s really not what Mozilla should be worrying about right now, as there’s a massive exploit against their extensions API. Homebrew IMSI catchers are old news now, but there’s an information security saying that attacks only ever get better. We could extend that and say that hardware attacks only ever get cheaper. Here’s a terrifyingly easy HOWTO - looks like about £600 of gear, some of which you likely already have, and an hour’s work for a competent Linux sysadmin. VNCRoulette shows you just how many people set up remote desktops and leave them completely unsecured.